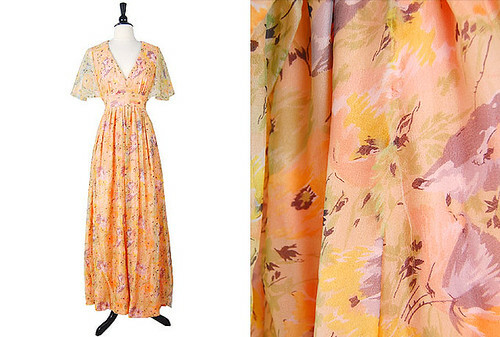 Just added this beautiful floral chiffon vintage dress from the 1970s. You can get it in our new 1970s Clothing Section on AV! Emma Garden Dress from Adorevintage.com.